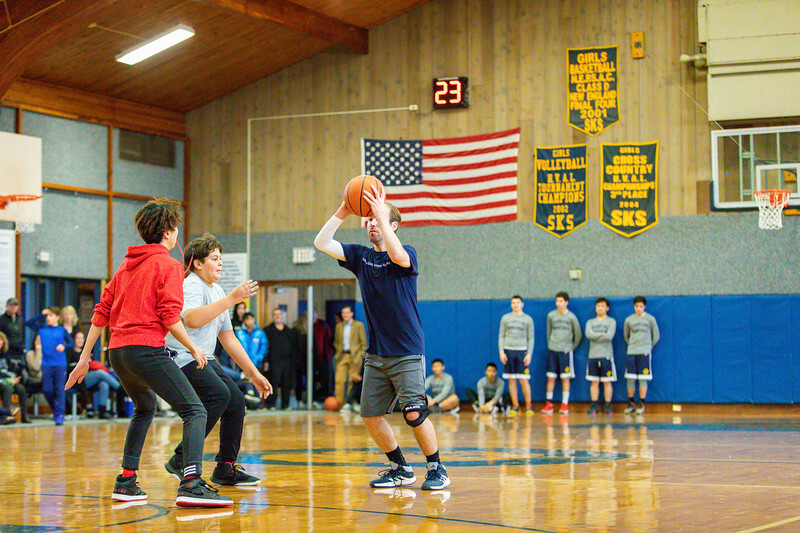 This year’s Alumni Basketball Game was an hour packed full of fun, excitement, and some great basketball on both sides. 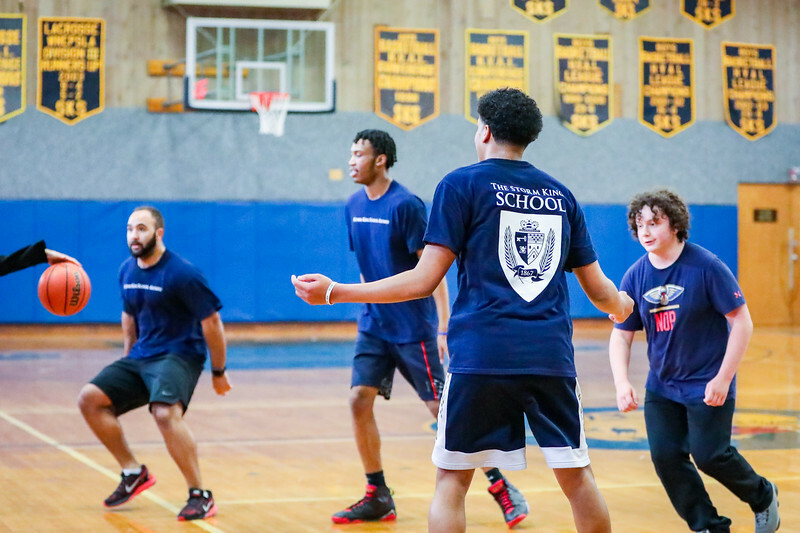 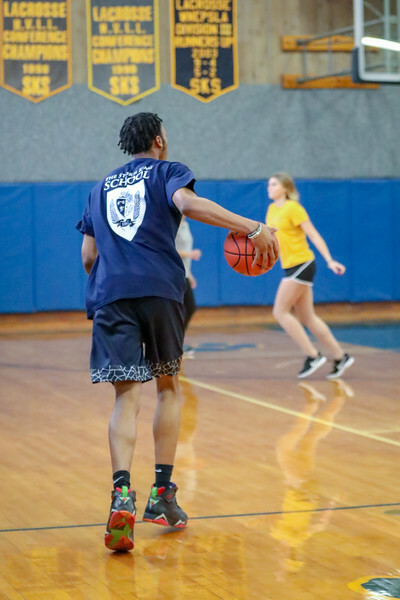 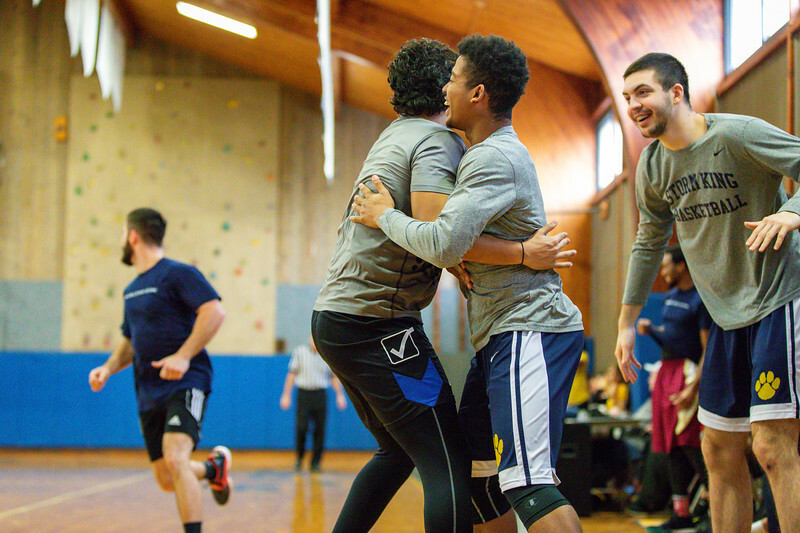 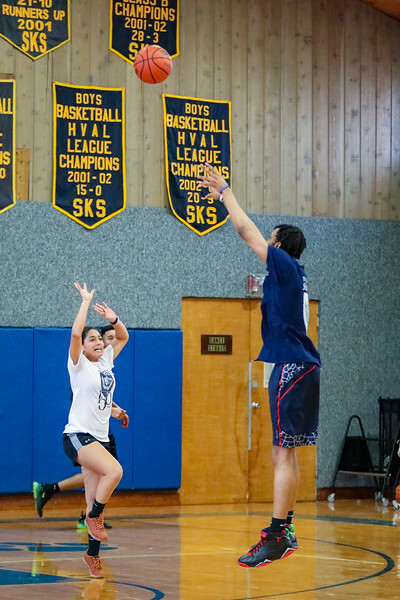 Following a narrow defeat last year, the Storm King Alumni Team was tough to beat. 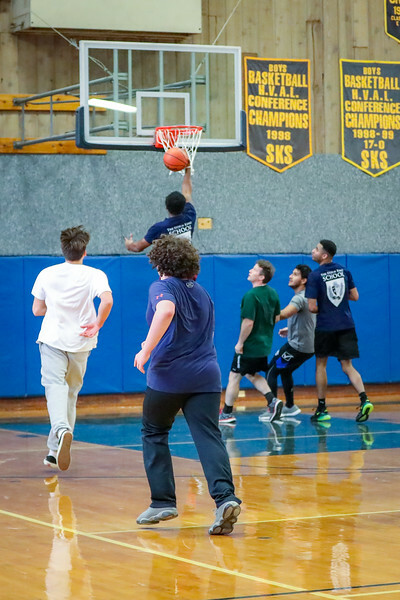 They took the win against the Faculty/Student Team 87-63 this time around. 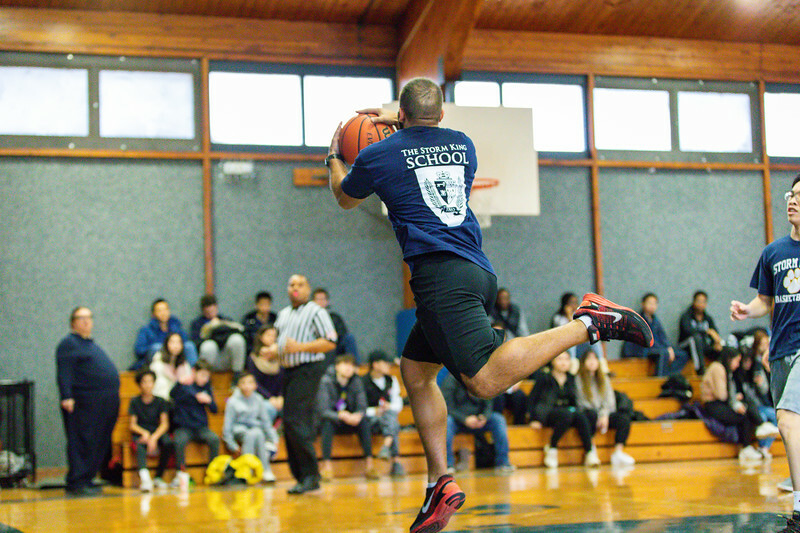 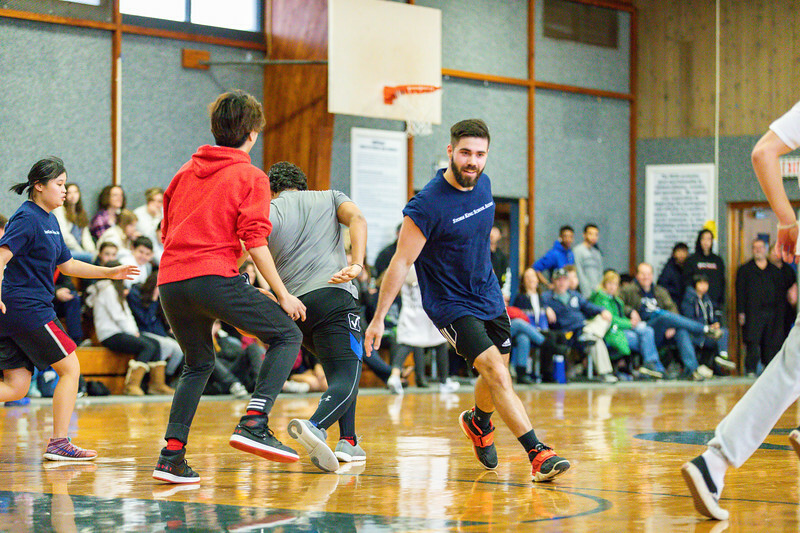 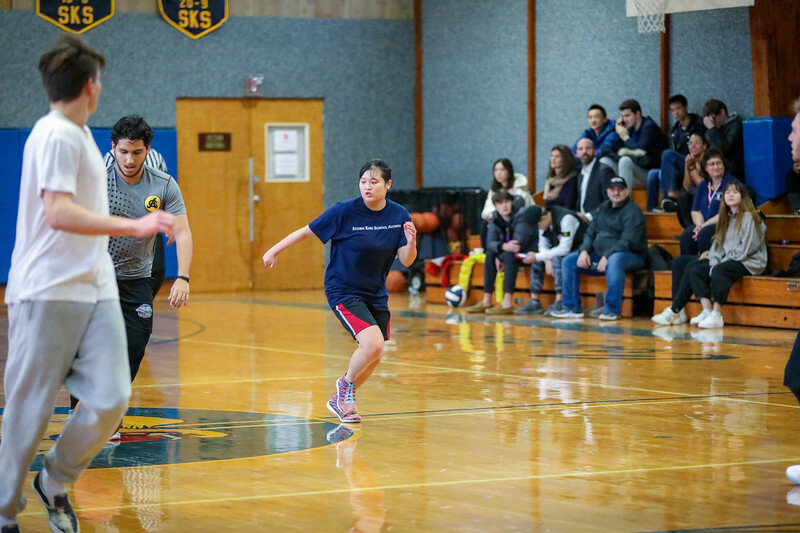 The game took place on Sunday, February 10 from 2:00 to 3:00 pm in the SKS gymnasium. 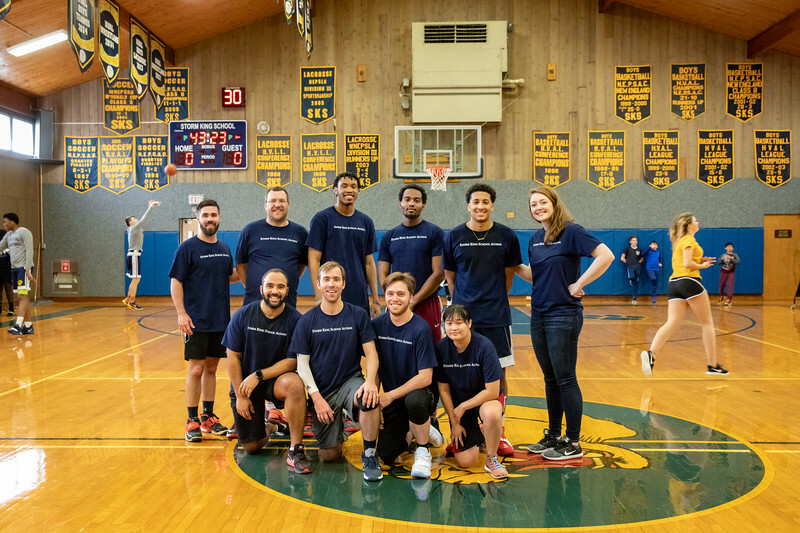 Enthusiastic Storm King graduates spanning several decades filled the Alumni bench including Sele Birchwood ’09, Logan Sollami ’09, Elijah Barnett ’18, Jose Figueroa ’18, Chien-Chien “Narra” Tseng ’18, Luke Sollami ’08, Larry Lepisto ’89, Greg Facey ’13, Johnathan Flores ’12, and Trevor Hughes ’13. 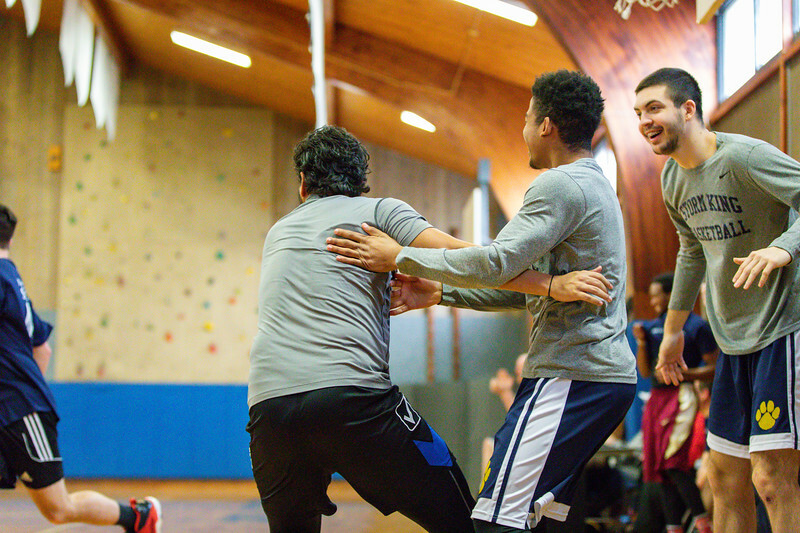 It was great to see so many recent graduates back on the court! 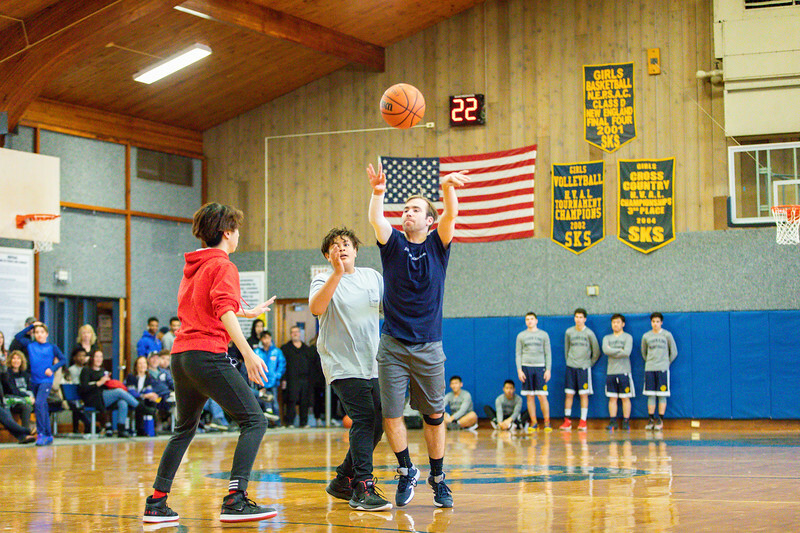 Before the tip-off, junior Morgan Papera sang the National Anthem to a large crowd of supporters. 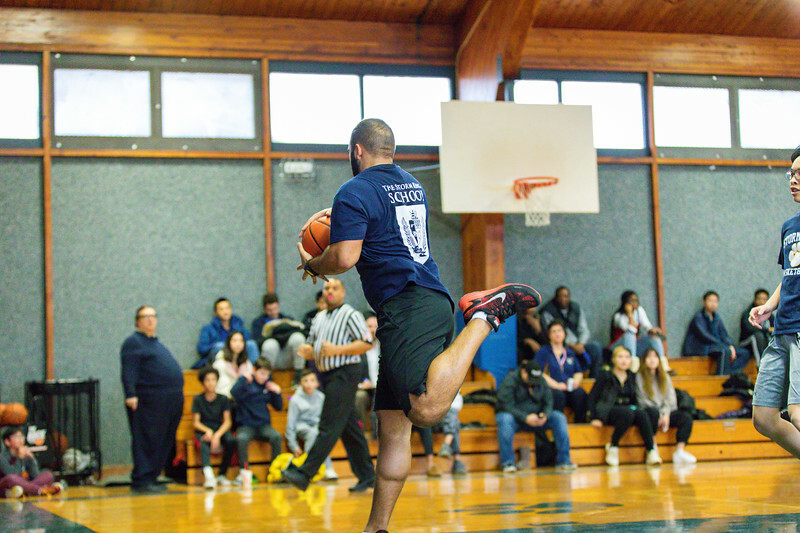 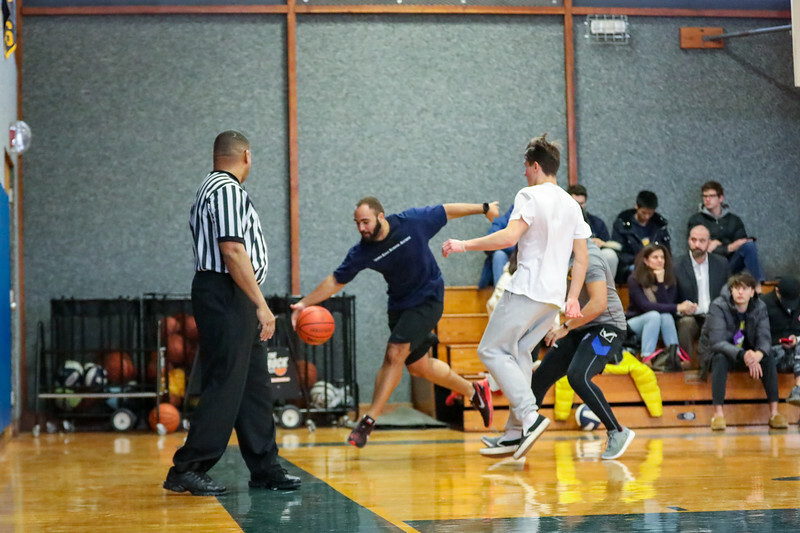 The game started out fast as the student-athletes and faculty faced a strong group of alumni. 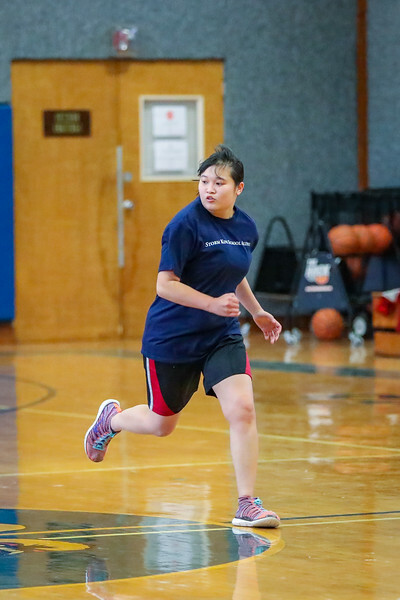 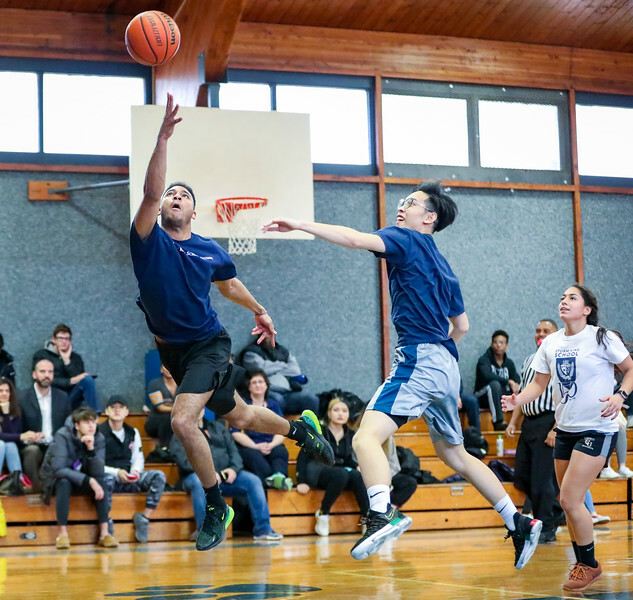 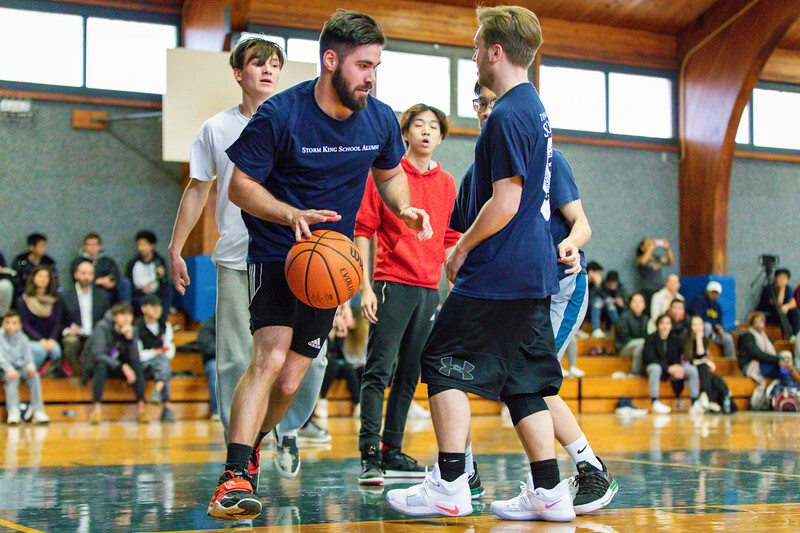 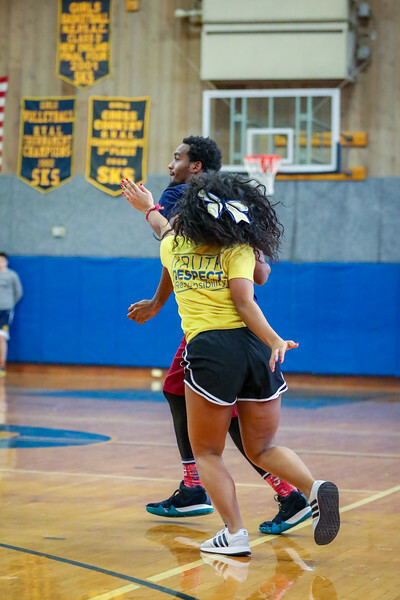 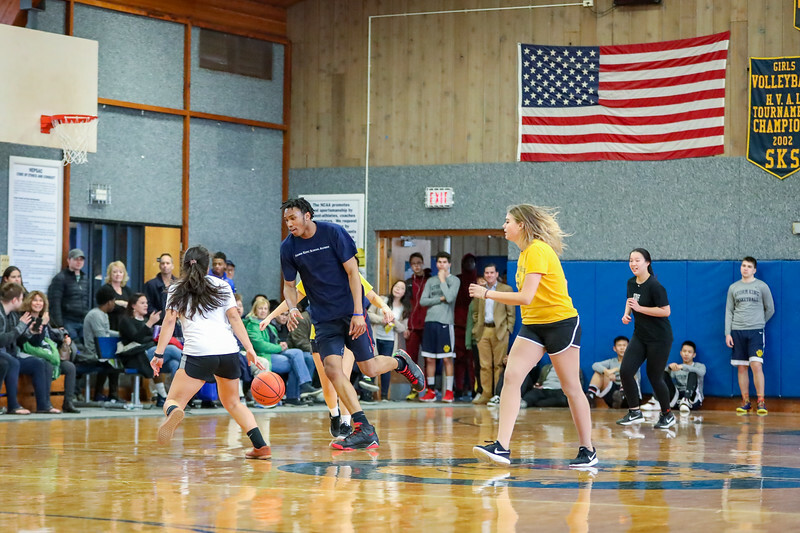 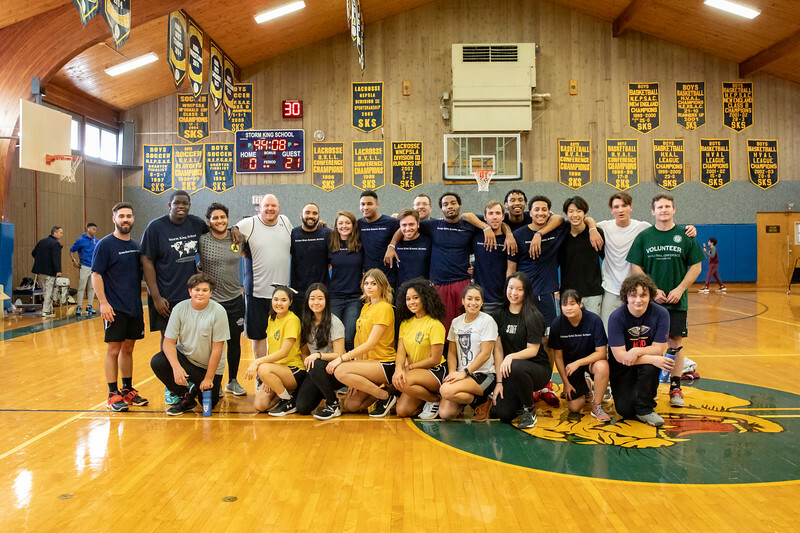 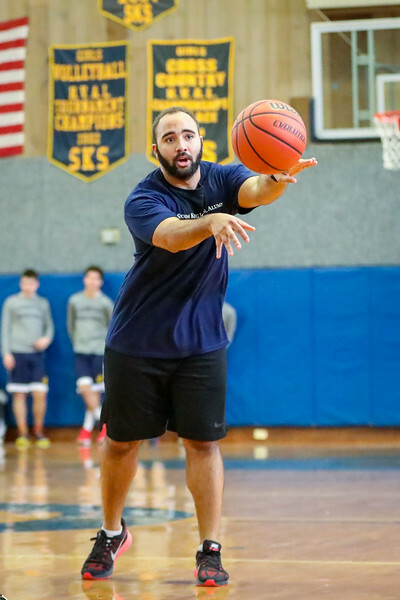 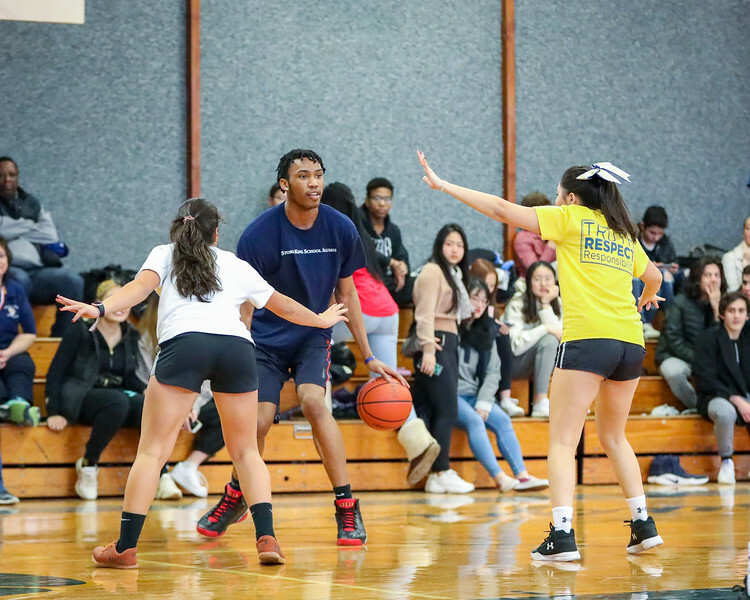 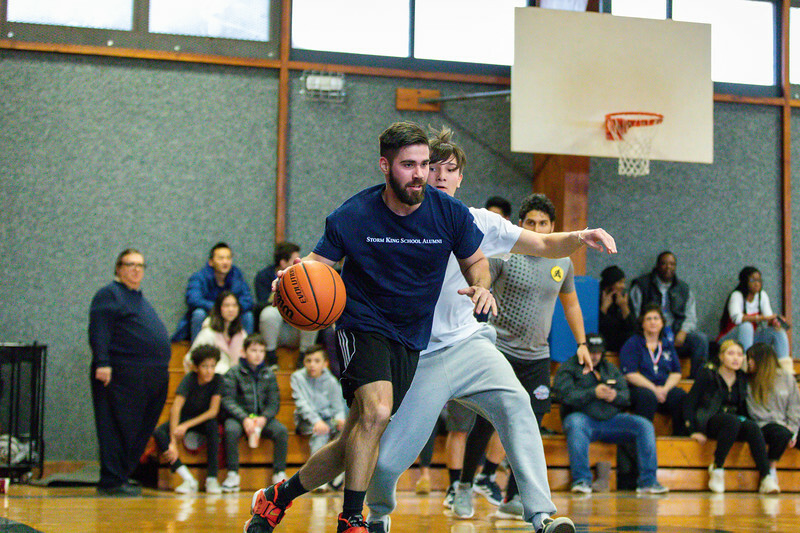 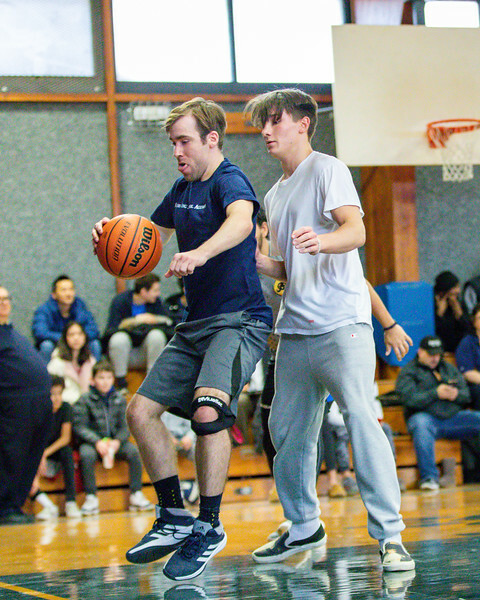 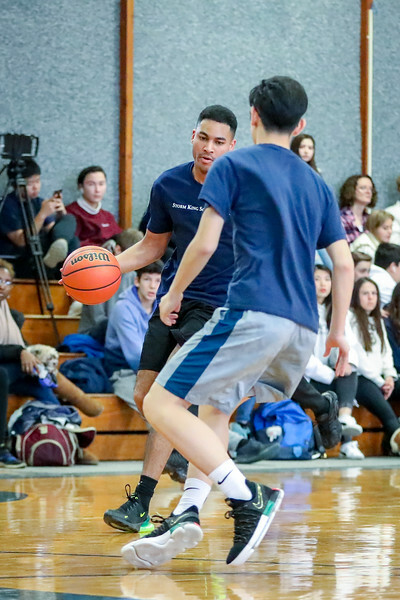 The alumni never let up on the SKS team, despite SKS having several strong players including ESL teacher Tim Gillett, Superintendent of Buildings and Grounds Jamie Smith, and many girls’ varsity players. 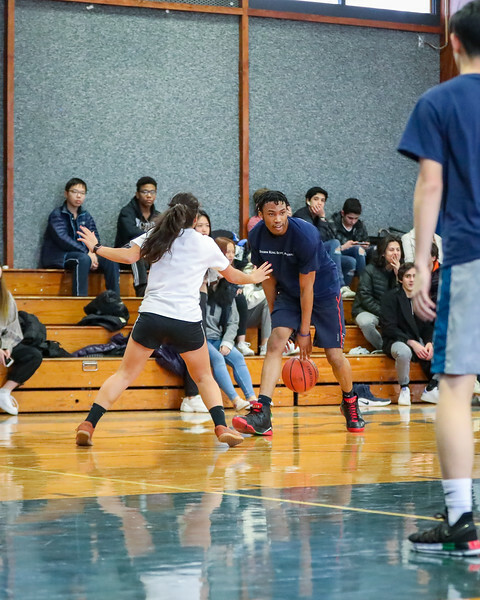 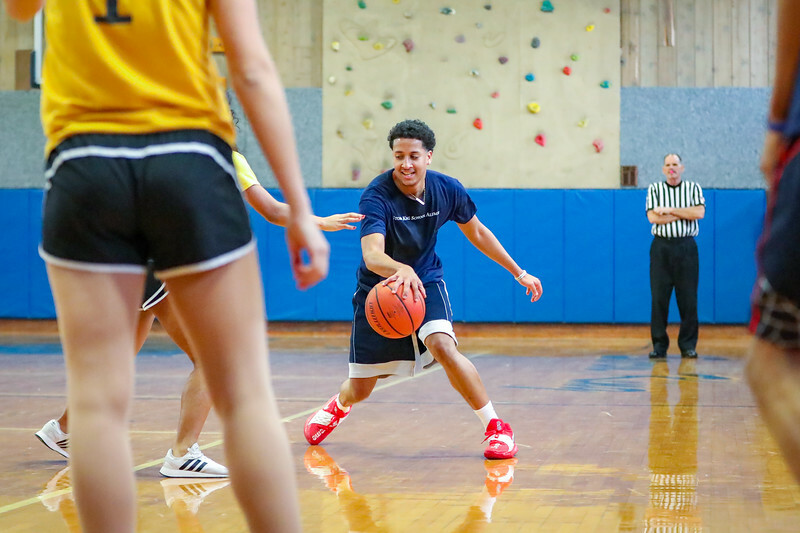 Jose Figueroa and Elijah Barnett led the charge, making several shots that kept the score moving with great assists by Sele Birchwood, Greg Facey, and all of the other players who participated. 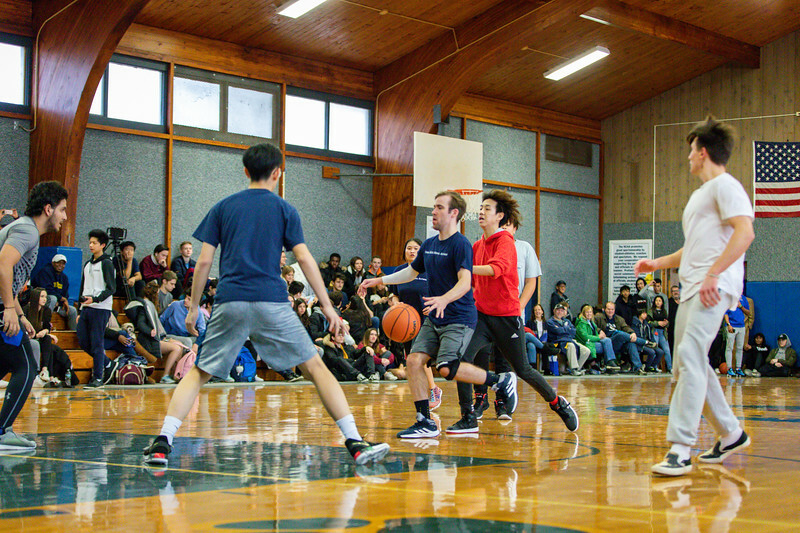 By halftime, the SKS team rallied to try and close the gap in scoring, but was not able to beat the tough Alumni Team.